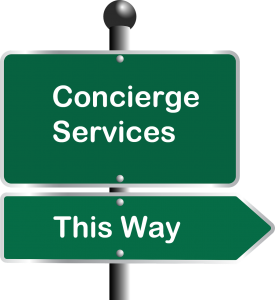 The word ‘concierge’ has a certain connotation attached to it. For example, the concierge at a hotel is tasked with making sure all the little details that would make your stay perfect are handled. A concierge at a high-end apartment building is there to make dinner reservations, secure tickets to that great show that just came to town, and ensure the cleaners pick up your dirty laundry. In other words, we tend to think of concierge service as being only for the wealthy who can afford the finer things in life. But that is not really the case. The entire concept of concierge service has evolved quite a bit over the last 30 years. These days, concierges offer a full range of services that go well beyond just arranging details for the wealthy. We get the fact that downsizing is not necessarily an easy thing to do. So we provide a range of services to seniors who find themselves in that position. Services include assisting with decluttering and sorting through possessions. We can also pack the entire house, move everything to the new home, and finish by unpacking and putting everything away. One of our favorite groups to assist are seniors who live alone. Let’s face it, living alone is not easy, especially in a place like the greater New York area. We offer a long list of senior services designed to make living alone a little bit easier. We can handle a client’s grocery shopping. We can run errands, take the client to medical appointments, handle weekly cleaning, and even cook a meal or two. Whatever it takes to help the client enjoy the best quality of life is on the table. From time to time we assist parents preparing to get their students off to college. The services we offer here are similar to downsizing services except that they apply to much younger people. We can help your student figure out what will make the trip and what will stay behind. We can help him or her pack everything up in preparation for the move. Once the student is safely tucked away at school, we can help mom and dad reorganize the empty space left behind. Maybe the bedroom is destined to become a home office. Maybe mom and dad want to turn it into a guest room to accommodate friends and other family members. Doesn’t it seem like we are all running around these days in one giant chorus of chaos? Indeed, many of our clients are busy families who just don’t have time to take care of everything. We step in to handle those things they cannot get to. For example, weekly cleaning is something we do a lot of. We also come alongside busy families to help them organize their attics, garages, and basements. We help them prepare for garage sales and throw annual family reunions. And if it is time to sell the house, we come in to assist with cleaning and staging. Running a small business can be just as challenging as keeping a busy family on track. As such, we frequently assist small business owners having trouble keeping things under control. It’s no big deal for us to come in and spend a few days organizing a disorganized office. We can find the right place for everything. We can help our business clients learn more efficient ways to utilize limited space. We can help them learn to create a schedule, set priorities, and get tasks done without procrastination. As you can see, there is a lot more to being a concierge in 2019 than just arranging dinner reservations and securing theater tickets. What you read here is just an introduction to what My Divine Concierge can do for you. We encourage you to contact us to learn more.